Introducing Story Templates and 5 steps to get started! Creating Stories for your most common tasks in Clubhouse just got even easier with Story Templates! 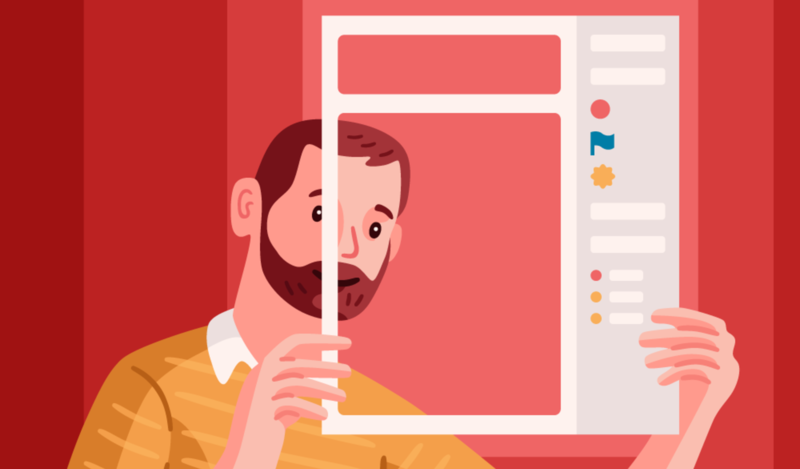 You’ll be able to create Story Templates and use them to seamlessly write your Stories, so all the vital information your team needs is automatically populated, meaning they — and you — can get to work faster. Story Templates can be created with common elements like titles, descriptions, Tasks, Projects and Epics, and Labels, for your most commonly created Feature, Bug, and Chore Stories. 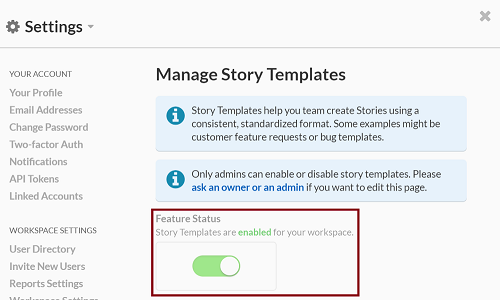 Enable Story Templates: Have an Admin or Owner enable Story Templates in your Workspace’s Settings. 2. Create your first Story Template the same way you would create a story. Once you’re ready to save your new Story Template, click the arrow beside the “Create Story” button and select “Save as New Template”. Customer Experience Bug Template — Create an easy template for your CX team to load each time they file a bug Story, ensuring they are written in a uniform way and filed in the correct place within your Workspace. Feature or Chore Story Templates: Define Story requirements with a Story Template for each use case or chore you’re capturing across Epics, saving clicks and lots of copy/pasting. Pro Tip: Create a Story from a Template by selecting the carrot next to the Create Story button in the top left corner. Roll over Create a Story to see the available list of Templates to choose from. 3. Manage your Story Templates Story Templates can be managed by anyone in your Workspace in the Settings menu. This is a great way to get a birds-eye view of existing Templates and to modify all existing Templates in one place without having to jump around. Pro Tip: All Story Templates are organized by Project type for easy categorization! Turn an Existing Story into a Template: To do this, open the existing Story you want to templatize and click on the Story Actions menu (found by clicking on the ellipsis in the upper right corner of the Story), then click on Use Story as Template. 5. Try Story Templates on mobile Story Templates are available on your iOS app so you can create Stories more conveniently from your phone. Bonus tip: Link to Story Templates Link directly to a Story Template so it's easier to share and bookmark your favorite templates. With Templates you’ll be able to get Stories into your Workspace’s workflow more quickly and automate more processes so you can get new features into development. Check out this Help Center article for more information on how to get started. Try it out and let us know what you think.